A compliance report templates is usually associated with a regular to-do list. The only slight difference is that compliance reports are more complex in its content. There are technicalities with duties, tasks, and responsibilities that you need to comply with. 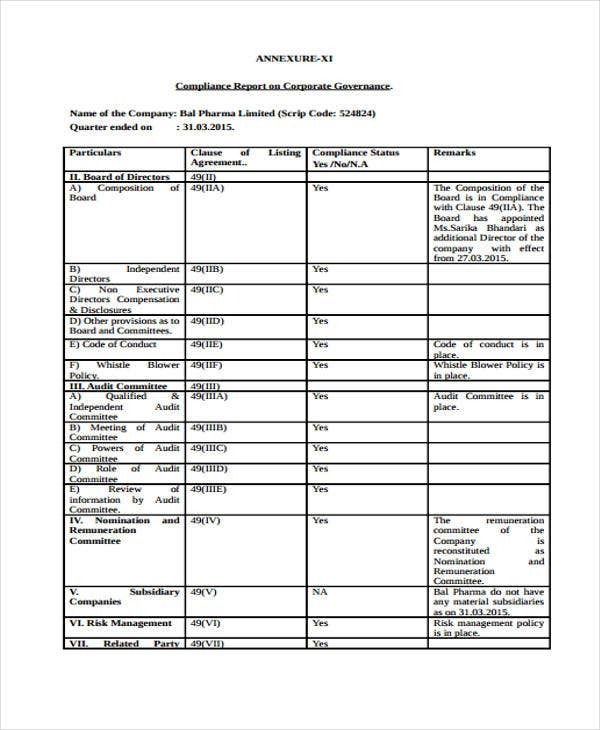 Oftentimes, a compliance report also forms part of an executive summary of a report for purposes of checking if everything that needs to be done has already been complied with. 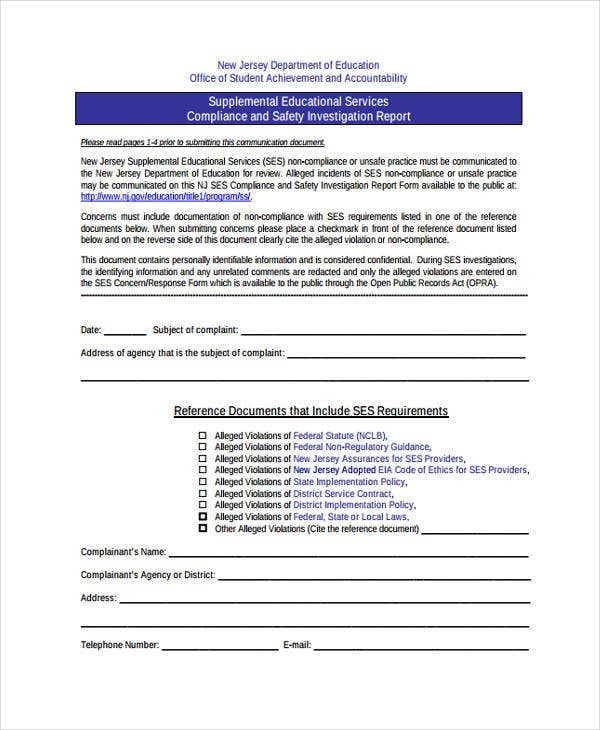 You might want to check out our Incident Report samples and see that compliance reports are also utilized to make even more comprehensive reports. 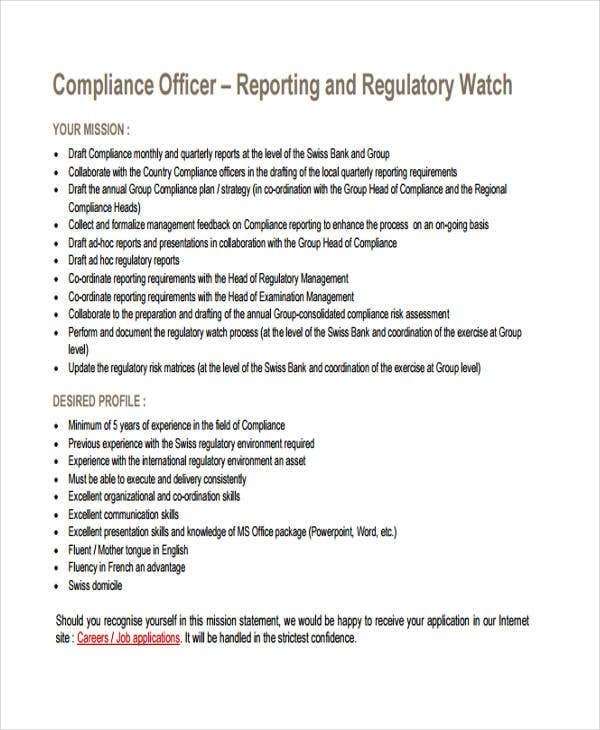 What Is a Compliance Report? It isn’t the regular type of report that basically just presents data subject for interpretation. 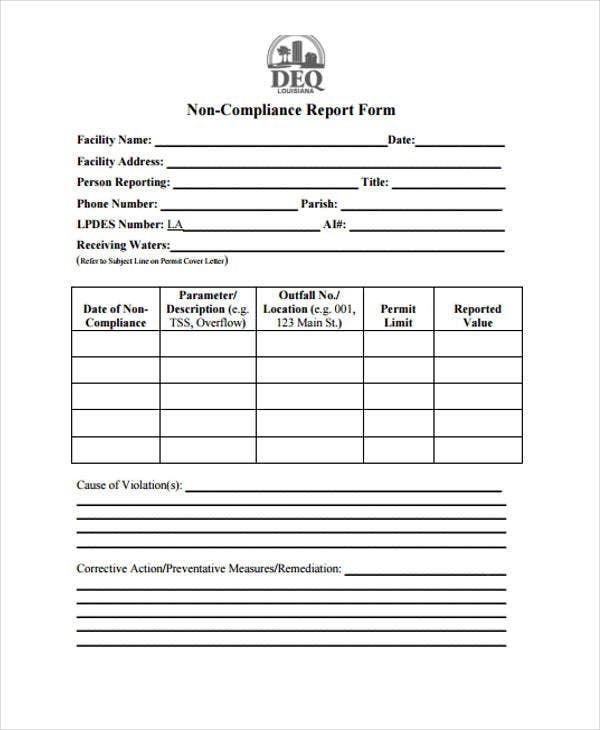 Compliance reports are documents may be considered as checklists of tasks that need to be done. 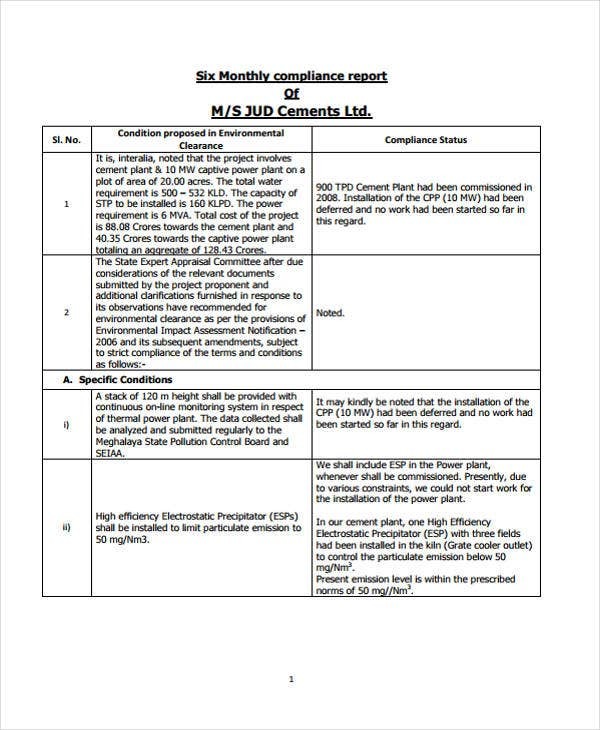 This type of report urges compliance and conformity to a certain rule or guideline for purposes of further regulation on different matters. Normally, compliance reports provide a list of guidelines that one needs to follow and comply with. Violations would also be addressed properly as there are due sanctions for it. 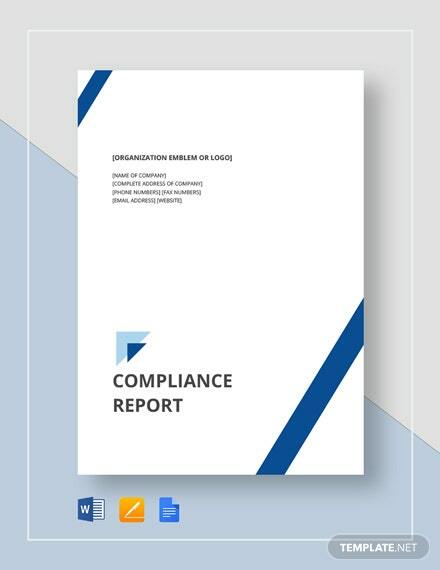 Take a look at the sample Regulatory Compliance Report Template and see important details included in a specific table that is subject for compliance. It implies that everything listed needs to be done for regulatory measures. Check out more templates from our page. 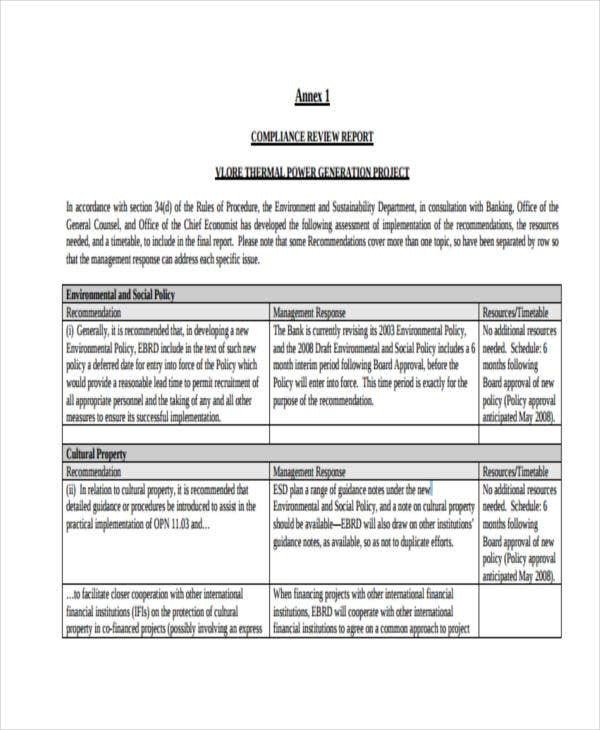 We also offer Internal Audit Report Templates in easy-to-download file formats that you could easily edit as well. One does not simply write a compliance report for the sake of writing it. The purpose of which is to monitor what else needs to be done and what specific actions need to be taken in order to fulfill certain regulations. Reminders. This type of report could serve as reminders to whoever keeps track on their own progress in different tasks and responsibilities. Accurate data input. 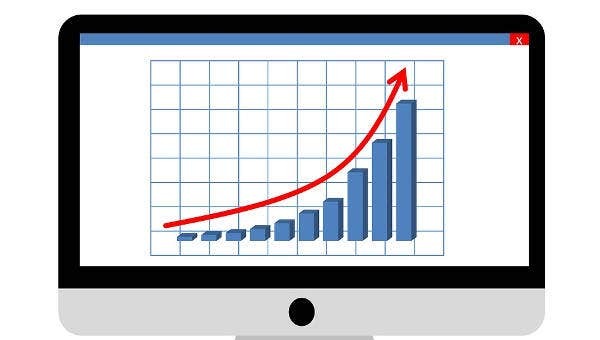 If you stick to a compliance report outline, you would know which data to input since every compliance report has certain information added to it for certain specifications. Standard compliance. This type of report helps you comply with the basics. 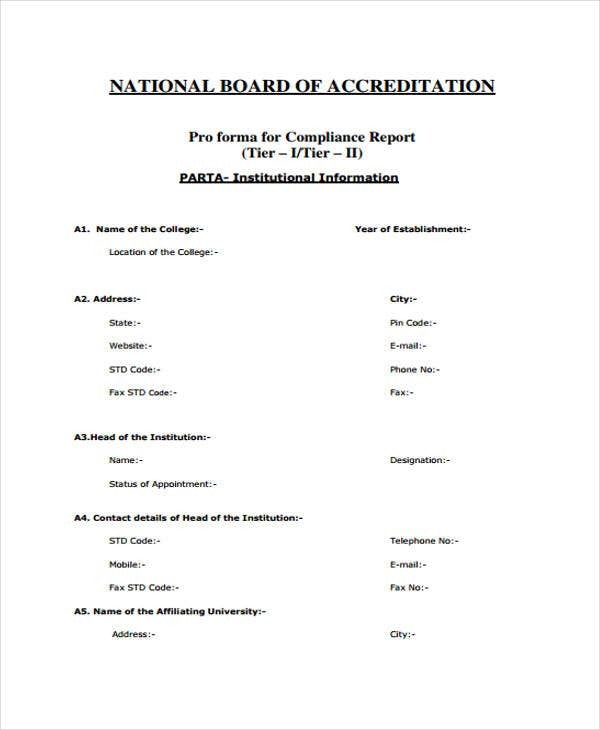 If you aren’t that familiar with what you should comply with, a compliance report could give you the standards. 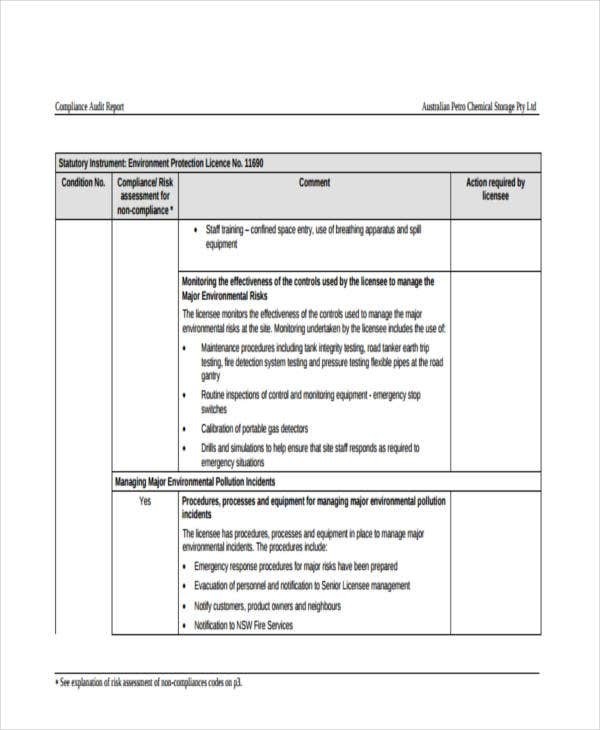 You might want to check out these Investigation Report Templates for any of your personal purposes. 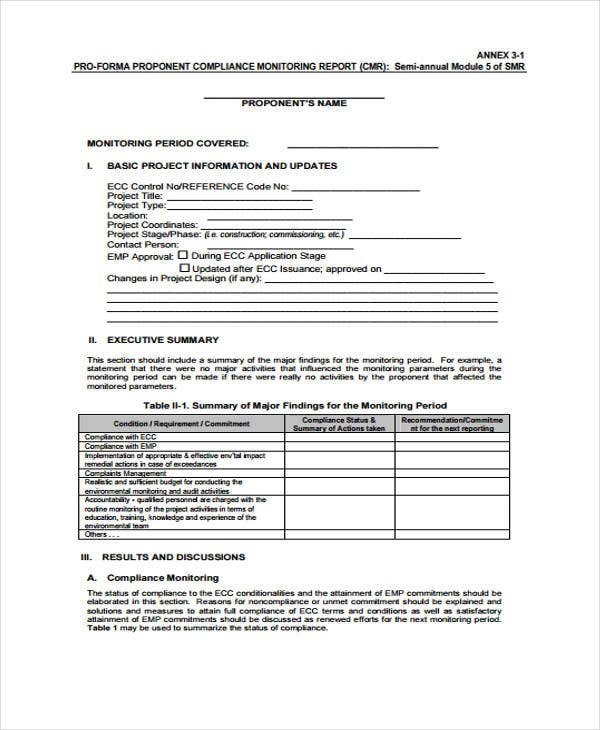 An Annual Report Template could also be useful for accurately reporting your project’s progress within a year. 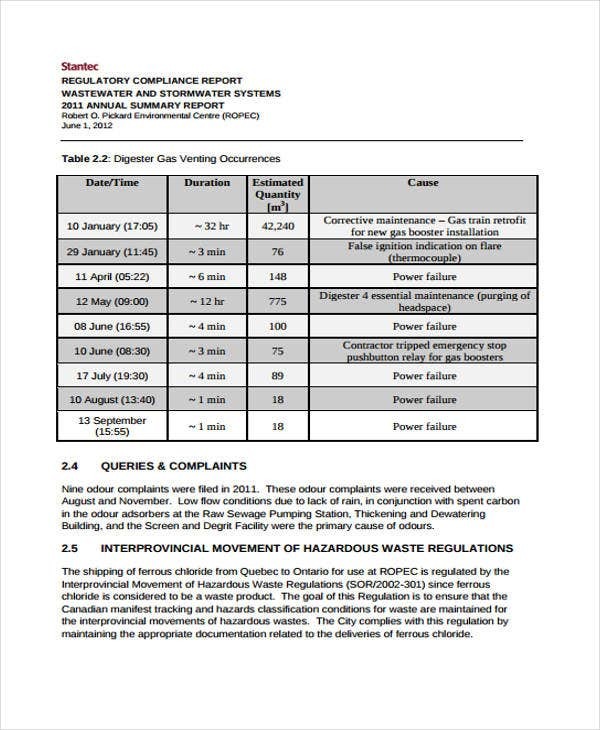 Provide for details for being compliant. This could be as complex as filing for state safety compliance or as simple as software compliance. Classify compliance tasks. This is to avoid declassifying sensitive company information. Specify tasks to be complied. 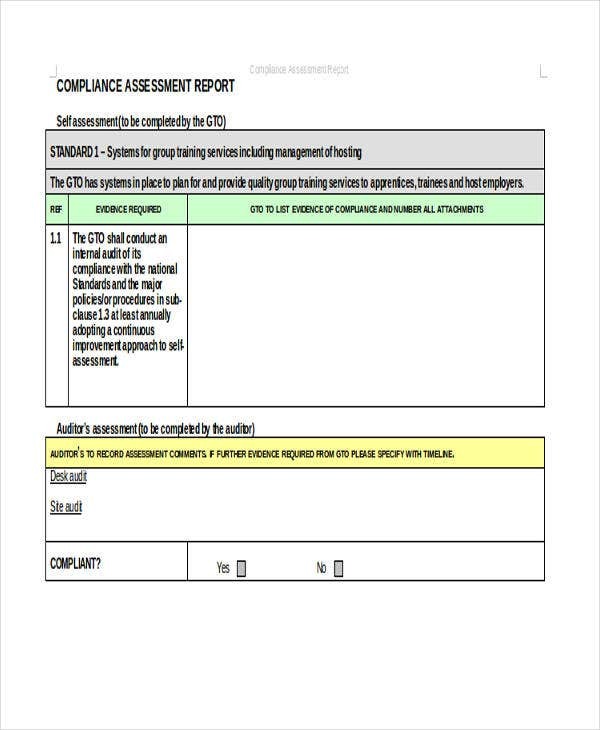 You could also download a compliance report template here if you would want to avoid starting from scratch with your reports. 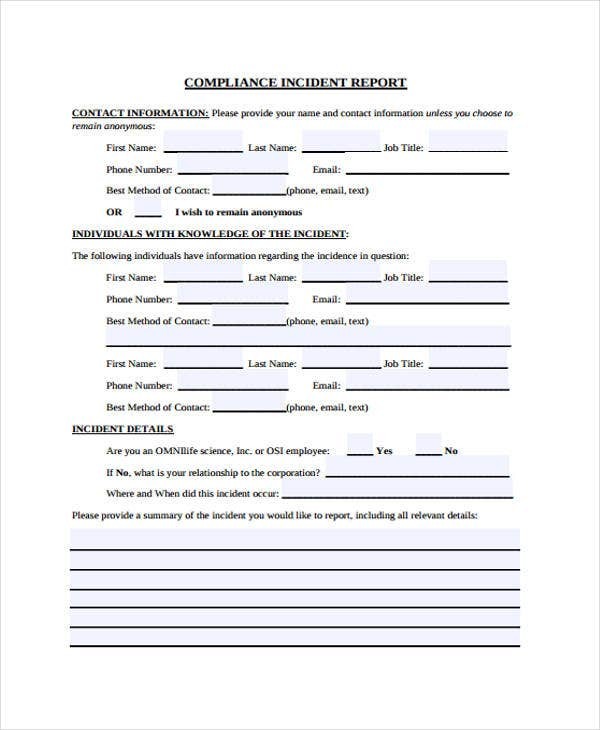 We also offer you various Incident Report Templates and Status Report Templates that are available in easy-to-download files.